In a Nutshell: While many people hear the term “investing” and think stocks, bonds, and dividends, according to the experts at the Financial Industry Regulatory Authority (FINRA), investing is more than just portfolios. Investing is all the choices we make about our money, and great investments don’t always involve the stock market. For those dealing with high-interest debt, the best return on investment will be to pay down that debt — by any means necessary. Regardless of age or income, anyone can invest in their own financial future with the right planning and resources. Whether you’re investing in paying down debt, or in stocks and bonds, FINRA has the resources to help you become a wiser and safer investor. Though gravity may technically be the driving force behind the movement of objects in the universe, it often seems that (to paraphrase Liza Minnelli) money is the force that makes the world go ’round. In our modern society, money directly impacts nearly every aspect of our daily lives, from buying that morning cup of coffee on the way to work — to the reason we go to work in the first place. In fact, money is such a prevalent part of our lives that, according to a study by GOBankingRates, more than a quarter of Americans think about money more frequently than politics, their health, and even their love lives. And it isn’t just those with money — or without it; young or old, rich or poor, we all seem to have our minds on our money. That said, while those who are working their way out of debt may not be analyzing stocks, bonds, or mutual funds, they can still be investing in their financial futures in other ways. The truth is, investing isn’t only about options and securities; in the scheme of things, it’s more like a way of life. While those choices do sometimes involve deciding what percentage of your retirement account should be devoted to stocks over bonds, investing goes much deeper than 401K allotment, especially if you are dealing with debt. Investing in your financial future involves the details of your entire financial life, starting with the basic foundation of how you allocate your paycheck. To many, the stock market is a somewhat nebulous entity, almost like a capricious financial genie capable of granting great rewards — and just as capable of taking them away. In reality, the stock market’s infamous volatility is simply a matter of perspective. When examined over the course of several decades, the stock market actually shows consistently positive returns of around 7% (adjusted for inflation) every year. That means a $10,000 investment in the stock market will, on average, grow by about $700 in one year. As impressive as that $700 number might be, however, it’s actually paltry in comparison to the amount many Americans are paying on their high-interest debt every year. High-interest debt, such as credit cards, often carry interest rates in the double-digits — significantly higher than the measly 7% of the stock market. Moral of the story? Paying off your high-interest debt will earn you a greater return than investing in the stock market ever will. “If you have debt, the absolute best investment you can make is to pay down any high-interest debt that doesn’t benefit you,” said Gerri. “There’s a big difference between a high credit card bill and a mortgage loan, of course.” Where the average mortgage has an interest rate of about 4%, the average credit card has an interest rate of about 18.5%. Gerri suggests young people, in particular, should focus on their high-interest debt, rather than putting money toward their retirement savings right away. But, she said, everyone should do what they can to pay down their debt as quickly as possible, regardless of age. If you’re already well behind on investing for retirement, you need to take a long look at your spending priorities and find whatever savings you can. This graph from FINRA’s 2015 National Financial Capability Study shows the average American spends as much as — or more than — they earn. When your debt is under control, it’s time to start investing in the more traditional sense, through a retirement or other investing account. Before rushing out to pick up stocks for all your favorite companies, however, you really need to do your research. As one of the authorities regulating one critical part of the securities industry, FINRA offers a variety of resources to help people make better financial choices, invest wisely, and avoid fraud. Resources cover a range of topics and formats, including articles, tools, and even games. It also has an entire website dedicated to helping military families deal with their finances. One of the more traditional resources offered by FINRA is the large library of articles and guides, covering everything from the different investment types and how to find a broker, to what to do with your retirement account if you lose your job. Want to learn how to spot investment scams? There’s a detailed guide for that. Don’t know your net worth? This article includes a sample net worth worksheet to help. FINRA offers a large library of detailed articles and in-depth guides on a range of topics, including how to determine your net worth and the different investment types. The wide variety of financial calculators offered by FINRA are arguably some of the most helpful resources in terms of illustrating your financial choices. The retirement calculator, for example, will help you determine how much you need to save each year to meet your retirement savings goals, as well as generate a graph to help you visualize your savings path. 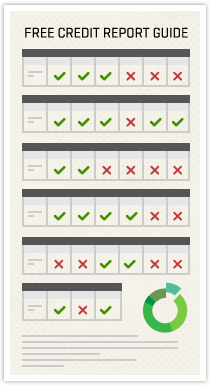 And the accrued interest calculator is a great way to see how various bonds will develop. Some of the most popular resources on the site are the research tools and analyzers, like the FINRA BrokerCheck function that lets users research a particular broker or firm. Perhaps the most popular of all, the Fund Analyzer is a great tool for comparing mutual funds. While it may not always be the best reason, one of the common reasons people don’t want to learn about finance is the impression that it is a boring subject. To help make finance feel a little more fun, FINRA’s resources include a variety of games and quizzes designed to be educational but also engaging. FINRA’s educational resources also include a number of fun, interactive quizzes and games designed to make learning about budgeting and investing more engaging. 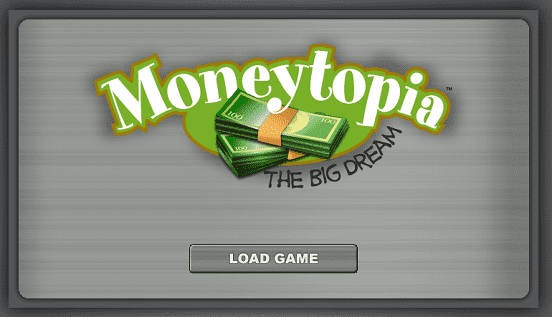 The Moneytopia Game and its associated tutorials, for instance, are an interactive way to learn about many financial topics, including maintaining a healthy budget while investing, avoiding investing scams, and comparing retirement plans. Another resource growing in popularity is the Securities Helpline for Seniors, a dedicated staff of experts who are there to answer questions. The service, started because FINRA staff in the Boca, Florida, location received a large number of walk-ins with questions about their accounts. Since its launch in 2015, the helpline has opened more than 8,300 cases and, according to Gerri, has received calls from across the country as well as overseas. If the scope of the caller’s question happens to be beyond the expertise of FINRA’s professionals, they help the caller determine who to contact. “If someone is asking a question that’s outside of our jurisdiction, or it’s otherwise appropriate, we’ll refer the call to a state securities regulator — or whatever the proper authority is,” said Gerri. Regardless of your age, gender, or income, chances are you think about money every day. And, regardless of your situation, it’s never too early (or too late) to start investing in your financial future. While the nature of those investments may vary — such as investing in paying down high-interest debt, rather than investing in the stock market — having a well-laid plan is the key to a strong financial future. Brittney Mayer is a credit strategist and contributing editor for BadCredit.org, where she uses her extensive research background to write comprehensive consumer guides aimed at helping readers make educated financial decisions on the path to building better credit. Leveraging her vast knowledge of the financial industry, Brittney’s work can be found on a variety of websites, including the National Foundation for Credit Counseling, US News & World Report, NBC News,TheSimpleDollar.com, CreditRepair.com, Lexington Law, CardRates.com, and CreditCards.com, among others.